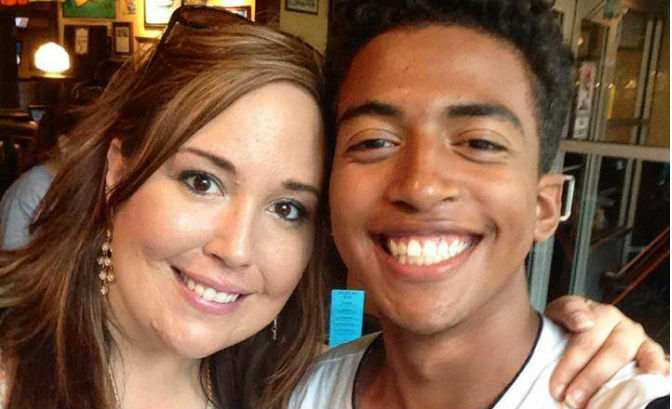 Advocates for Missouri teen Isaiah Rider’s freedom are cautiously optimistic following the news that Illinois Governor Bruce Rauner vetoed a bill on Friday. The bill would have extended DCFS services to young adults between the ages of 18 and 21. Isaiah has made it clear on numerous occasions that he neither wants nor needs the government of Illinois to be his parents. Isaiah Rider became a ward of the state of Illinois after Lurie Children’s Hospital of Chicago called upon DCFS to seize custody of Isaiah when his mother Michelle Rider asked for a second opinion. Hospital staff had admitted to Michelle that there was nothing further they could do to help her son, who was suffering from painful seizures that began during surgery at Luries. Rather than allowing her to take him to another facility where physicians believed they could help him, they accused the mother of Munchausen by Proxy, a diagnosis believed by some experts, including Dr. Marc D. Feldman, to be a convenient means of getting a parent out of the way when they ask too many questions. 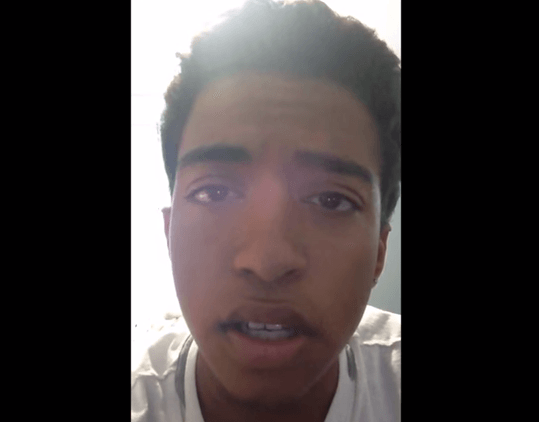 What Does This Veto Mean For Isaiah Rider? That is the question that Isaiah’s family and advocates are asking. Health Impact News has asked Governor Rauney’s office for a statement in regards to that question, and will update as soon as a statement becomes available. 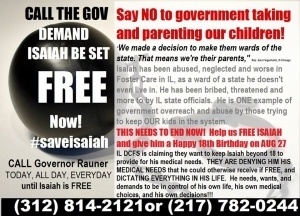 “Advocates are anxiously awaiting word from the Governor or somebody that we can hold a huge celebration on Isaiah’s 18th birthday, August 27th. We hope to be able to celebrate his freedom. DCFS has stated that Isaiah should stay in their custody so that they can get him medical care; however, on more than one occasion, DCFS has interfered with Isaiah getting the medical care he needs. Even though his Kansas City doctor has recommended that he go to the Mayo Clinic, DCFS has repeatedly stopped that from happening. Nor will they pay for it. (See: Illinois Stops Teen from Going to Mayo Clinic – “Legalized Terrorism” Claims Distraught Mom .) This makes no sense to either Isaiah, his family, or his supporters, who suspect that there may be a more sinister reason that they are going to such extraordinary lengths to keep him in their custody. Isaiah has access to medical insurance and care without DCFS involvement. Until he is released from under the institution, however, he cannot obtain the care or insurance on his own. Isaiah turns 18 on August 27. 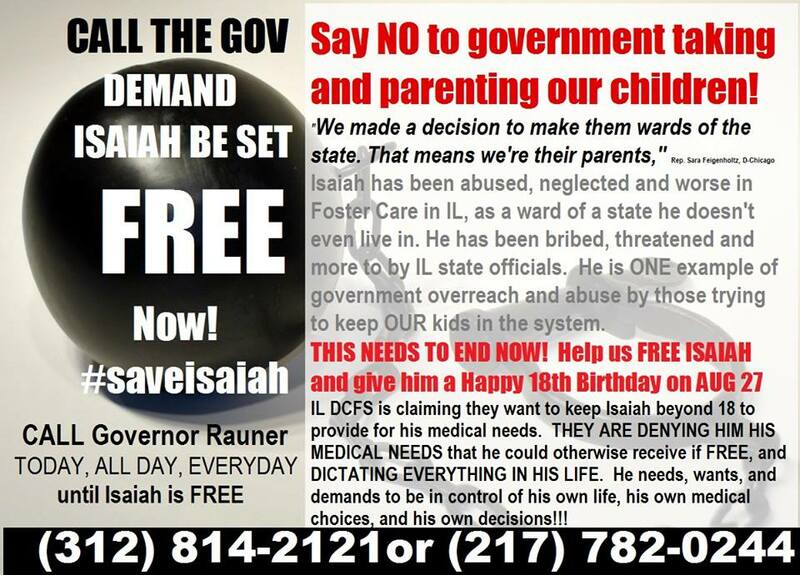 Advocates are hopeful that Governor Rauney’s veto signals Isaiah’s freedom, but are afraid to celebrate just yet, until there is confirmation from the Governor’s office that the Missouri family’s nightmare journey with Illinois DCFS is over.